Cisco's new data-center anywhere vision includes a slew of new products. CISCO LIVE EMEA — Businesses can no longer say that what happens in the data center stays in the data center. The boundaries continue to morph. That’s why Cisco announced on Tuesday what it calls “data center anywhere” – a suite of new products across networking, hyperconvergence, security and automation. The announcement was made at Cisco Live EMEA in Barcelona. The new offerings are ACI Anywhere, HyperFlex Anywhere and CloudCenter Suite. Cisco also announced a single enterprise agreement for buying and managing technology across the data-center architecture. 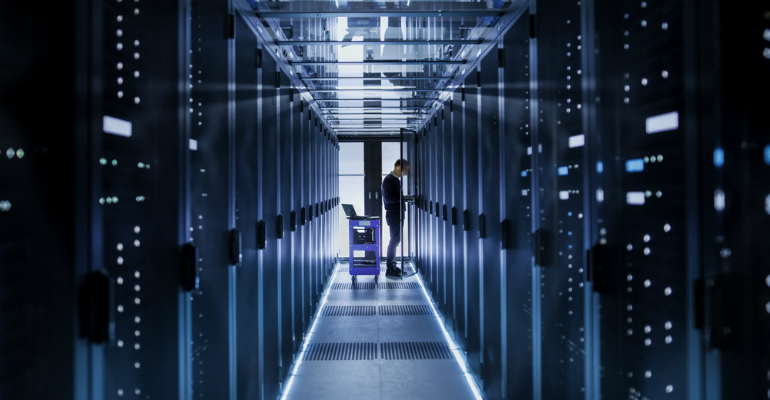 “There’s nothing centered about data anymore,” Daniel McGinniss, senior director, data center marketing for Cisco’s ACI product line, told Channel Futures. As an example of how the data center has lost its “center,” he points to the pieces that come into play in the expanded modern “data center” — on-premises enterprise data center, private cloud, public cloud, colocation, enterprise edge, 5G telecom edge and IoT. Cisco is doing this with its three new offers. ACI Anywhere is the expansion of ACI into the public cloud with Amazon Web Services (AWS) and Microsoft Azure environments; HyperFlex Anywhere, or HyperFlex 4.0, extends into branch offices and remote locations to power applications to the edge; and CloudCenter enhancement are designed to help customers manage the life cycle of applications across multiple cloud environments. Together, Tuesday’s announcements are designed to addressed three key drivers impacting the data center: applications are evolving; workloads continue to be more distributed; and developers are driving an increased demand for multicloud. Until now, Cisco has addressed the core data center, delivering cloud-like experiences for applications and data that must stay local, or on premises, and it’s addressed the edge and remote locations by extending the data center to the slew of new sources of demand. The third data center domain has to do with multicloud. “We’ve always had connectivity between AWS and Azure and Google Cloud Platform (GCP), so we’ve allowed that connectivity back and forth, but we haven’t truly as an industry realized the consistency of that environment — how do we manage it and integrate it like it’s a single homogeneous entity with application policies, automation [and so on],” said McGinniss. Cisco also announced two new integrations: AppDynamics, for application performance monitoring, or for correlating application performance data with network data; and DNA Center and ISE Controller to increase uniformity and security across the data center and campus, for identity access management from users and applications.